Everyone is affected when drivers to secure auto insurance, not just the people involved in accidents. Yet even though 49 of the 50 states require car owners to carry car insurance, it seems that more people are opting to go without being covered. This presents a problem not just to the individuals themselves, but everyone who plays by the rules, impacting policyholders right where it hurts: their wallets. For several years, the nation’s uninsured rate was progressively edging lower, but in 2015, the trend reversed itself, rising to 13 percent, according to the Insurance Research Council. That’s the equivalent of 1 in 8. The uninsured rate is still in the single digits in more than a third of the U.S., but in several states, it’s above 20 percent. Peter Howard, PayneWest sales executive, noted today’s motorists would likely be surprised by just how frequently drivers operate their vehicles sans insurance, in the Northwest included. People have their own set of reasons for why they don’t purchase auto insurance, but when they don’t pay, it forces everyone else to pick up the slack. 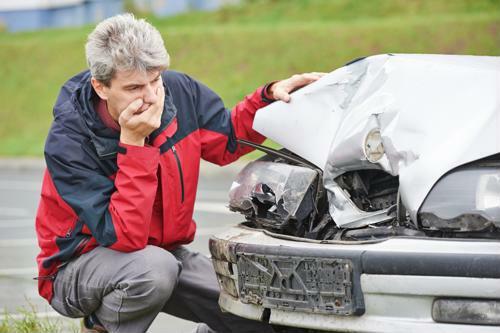 Uninsured motorist insurance exists for this very reason, which kicks in should you ever be involved in a crash and the other driver is to blame. However, given the fact that it’s costing more money to repair today’s automobiles – due in part to these vehicles being outfitted with state-of-the-art technology – the amount of coverage on the existing UM insurance policy may not be enough. And that’s assuming there aren’t any serious injuries. When people are hurt, this only adds to the final tally. Given that motorists don’t have to be driving all that fast to be injured, it’s little wonder 2.35 million people annually in the U.S. are injured or disabled in crashes, according to the Association for Safe International Travel. “Uninsured Motorist Property Damage is an inexpensive coverage, which could save the insured a headache when getting damages repaired to their car, if ever involved in an accident with an uninsured driver,” Howard advised. When you don’t do your part by obtaining auto insurance, everyone else winds up paying, in the form of higher premiums. Be a part of the solution and keep your policy up to date. Have you conducted a home inventory?